Whether you run a business with a YouTube channel, you’re a blogger whose blog has a complementary YouTube channel, or you’re someone with a blog who’s thinking of setting up a YouTube channel, you may be interested in knowing how to brand a YouTube channel. Why is branding important? The most famous brands in the world are identified by their logos. In fact, a college kid can be wearing a red shirt with white lettering in the font of the Coke brand, but the message on the shirt doesn’t even have to read “Coke” in order for us to know what brand it is. 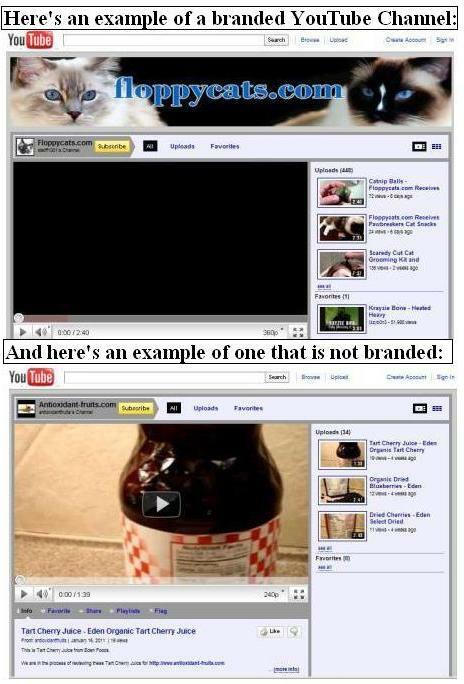 or if they end up on YouTube through a link from your site, you want them to know they’re still with you. Although social networking has brought a lot of advantages to bloggers and companies, it also limits the ways you can control your brand. YouTube has made this a little easier by allowing you to include your branding within your account. A background branding option, which is available to everyone. 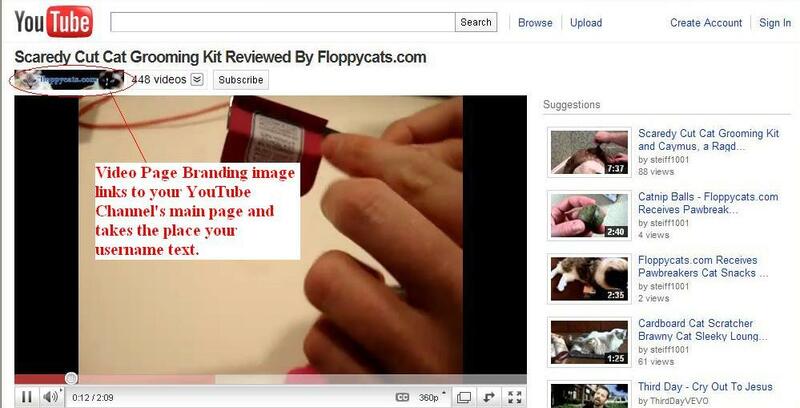 A banner and call-to-action branding option that’s available only YouTube partner. That’s right: only YouTube partners can add banners to their channels. If you want to add a banner and you’re not a YouTube partner, you might want to become one. Of course, being a YouTube partner also gives you the opportunity to earn extra cash because YouTube shares ad revenue with its partners. In order to qualify as a YouTube partner, your videos need to attract a certain number of views, and you need to post rather regularly. Unfortunately, the exact number of hits you need, and the post frequency requirements aren’t defined numbers. You can learn more about YouTube Partner qualifications on the YouTube website. As a guide, my own application for my YouTube channel took over four months, and I think I applied twice. If you’ve had experience with becoming a YouTube partner, please tell us about it in the comments. 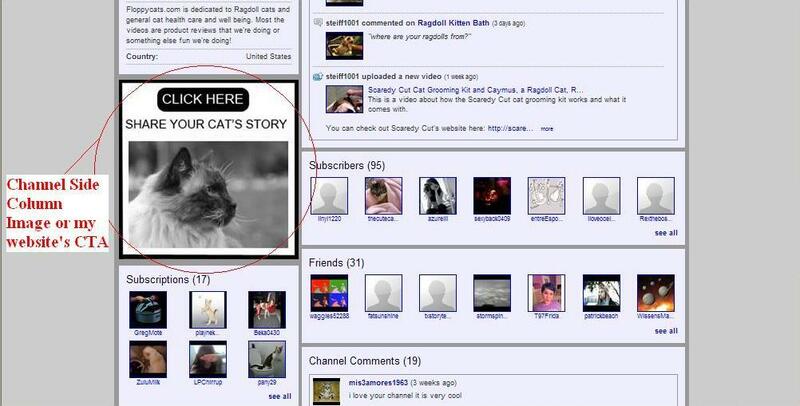 You can immediately see the brand advantage of having my Floppycats.com domain name staring you in the face. My Antioxidant-fruits.com page is hardly recognizable—all it has is a dinky little image next to my username for that channel. As you can guess, I am not a YouTube partner on my Antioxidant-fruits.com channel (the application is pending)—otherwise I’d switch it up immediately. If you’re already a YouTube partner, these are the steps you’ll need to follow to add your website’s banner to your YouTube channel. Refresh your page and see how it looks. In addition to adding your website’s banner, you can also add your website’s call to action or CTA to your YouTube channel. This is advantageous because it can become another source of traffic for your website (and in my case, another way to generate free content for my blog). Here’s how to do it. Below the Channel Banner there is a section called Channel Side Column Image. 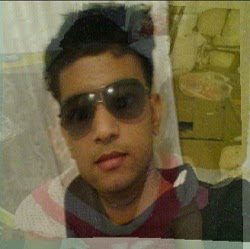 This image will display in the left column above the “Connect with” box (maximum 300px by 250px). 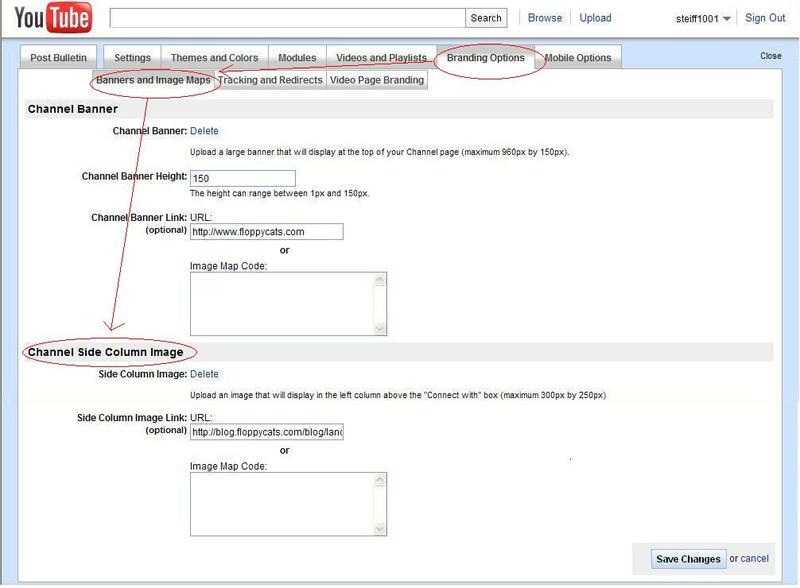 Add your“Side Column Image Link, CTA landing page, or, again, you can set up an Image Map Code. Refresh your channel to see if you like how it looks. 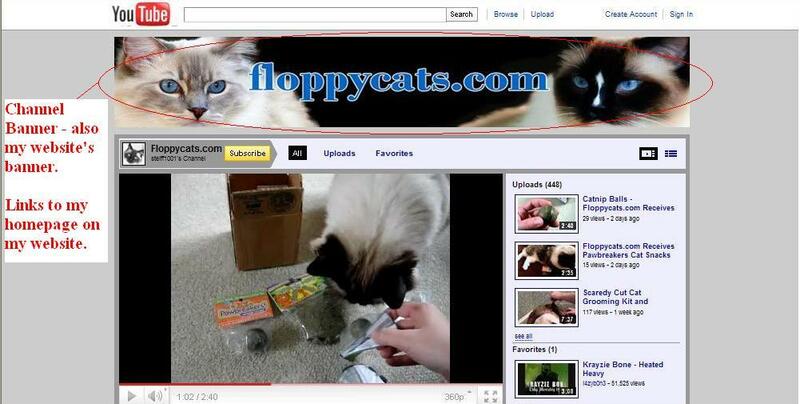 As I mentioned, I waited about four months to find out that I was a YouTube Partner for my Floppycats.com site. I went in and added the channel banner and the channel side column image. I also added video page branding, which is an image that’s substituted for your channel name. If your YouTube channel is one of your main sources of traffic and is at the core of what you’re all about, then you might consider updating it when major holidays are around the corner to be a little more festive. Or if you are running a promotion, a special giveaway, or some other promotion, you could definitely exchange your website banner, CTA image, or your video branding image for a more time-sensitive one, and replace the promotional image with the original after your event has ended. In doing additional research for this post, I came across another great blog post about creating a free YouTube background to make your YouTube channel more stylish. This option is especially helpful for people that aren’t yet YouTube partners. 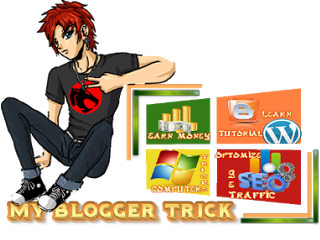 I just launched new website Click Social Exchange is powerful tools you will have more visitors to your traffic for your websites.